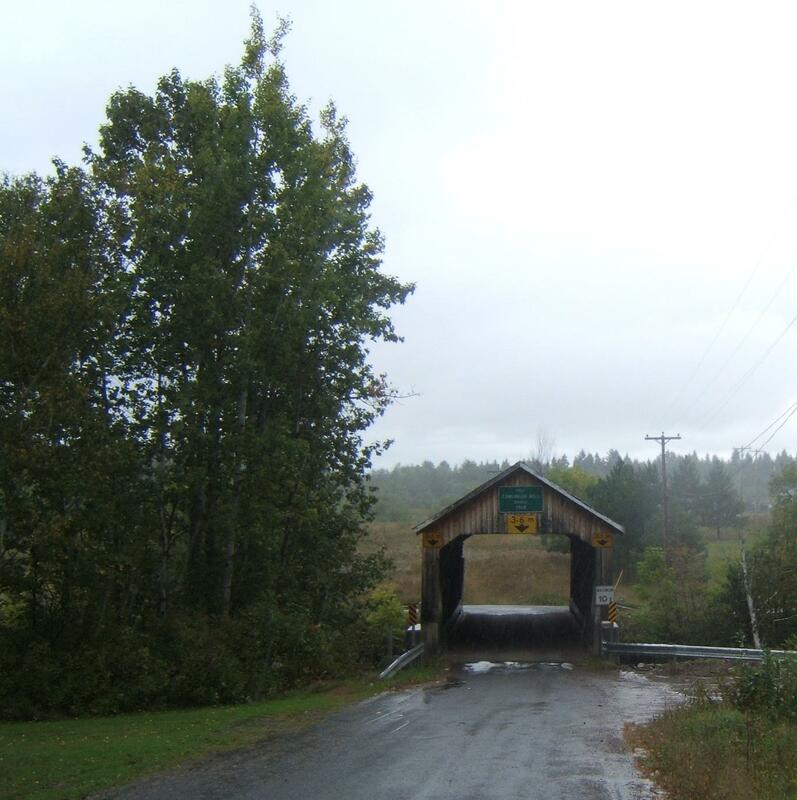 The Odellach River #2 Covered Bridge (Tomlinson Mill), built in 1918, is the only covered bridge remaining in Victoria County, New Brunswick. It is a charming bridge, with a long roofed window on one side. 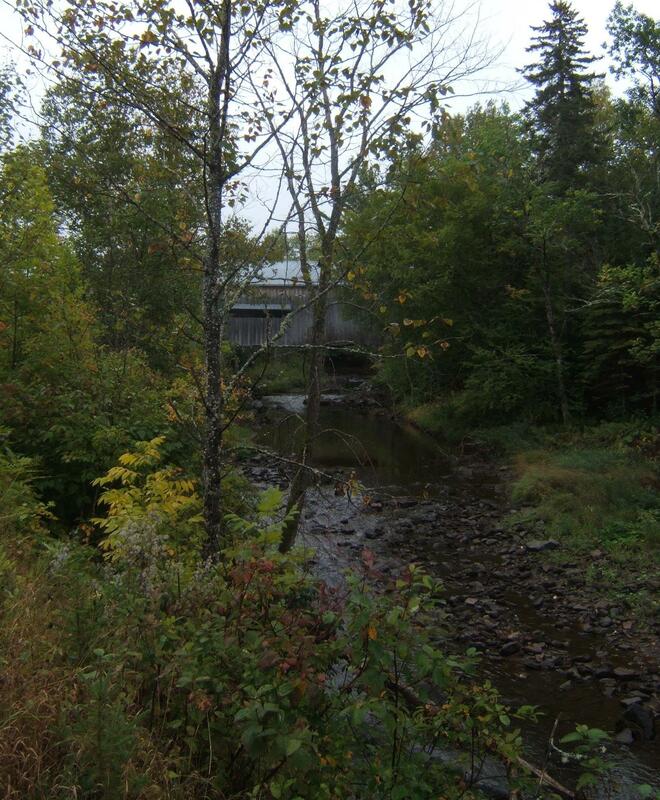 The sound of the nearby mill is part of the personality of the bridge. A small distance away are the foundations for an old water mill. 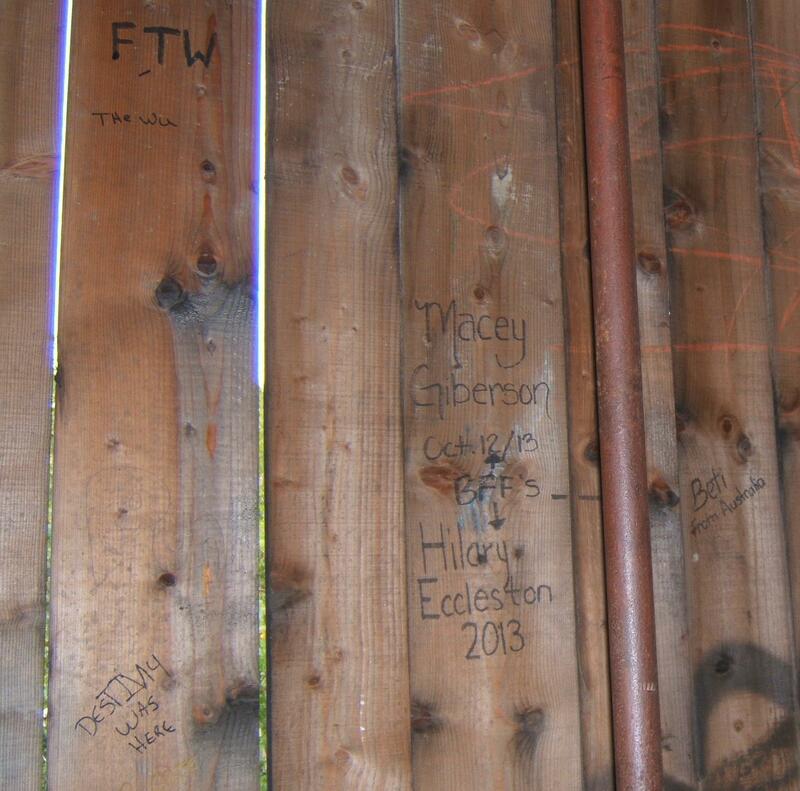 Every covered bridge has a record of people who have visited. 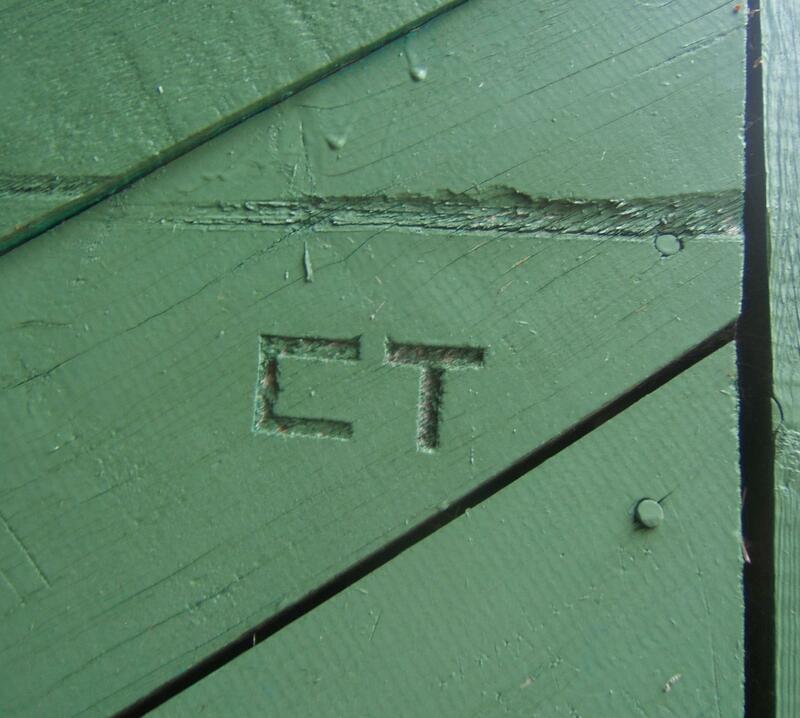 Some carve initials, some make brief statements, some draw. 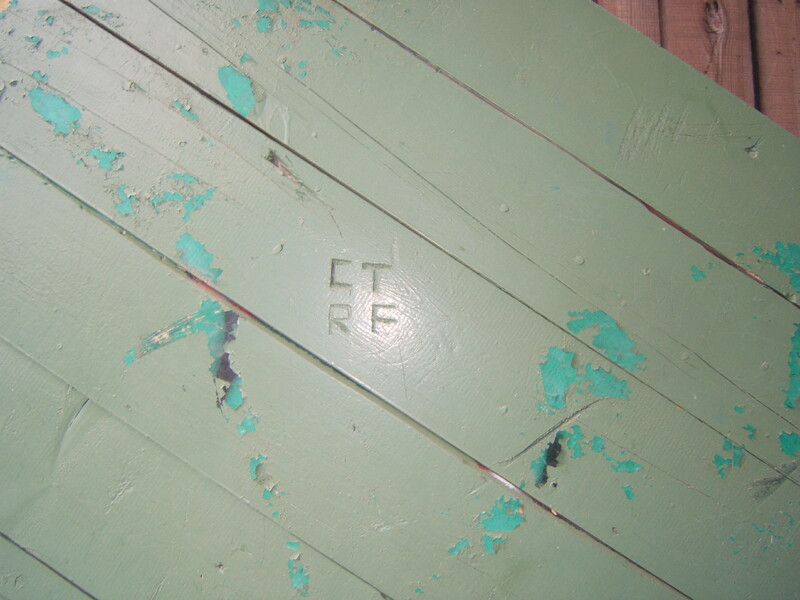 I know from finding my own initials 20 years after I left them, that these records persist. how was the summer ‘orange’ ? 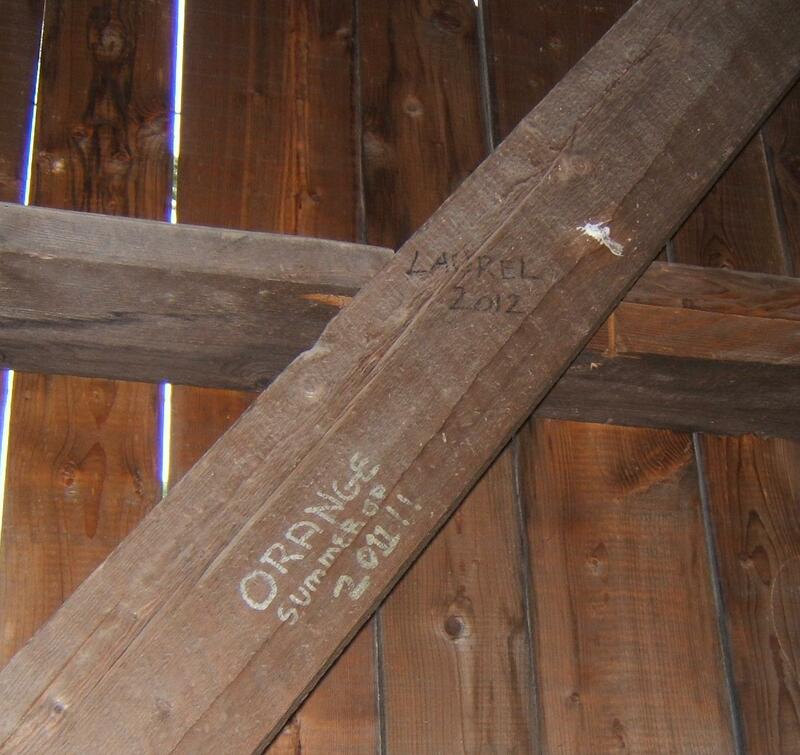 … who was Laurel? who were the ‘Hillbilly Bikrs’ ? 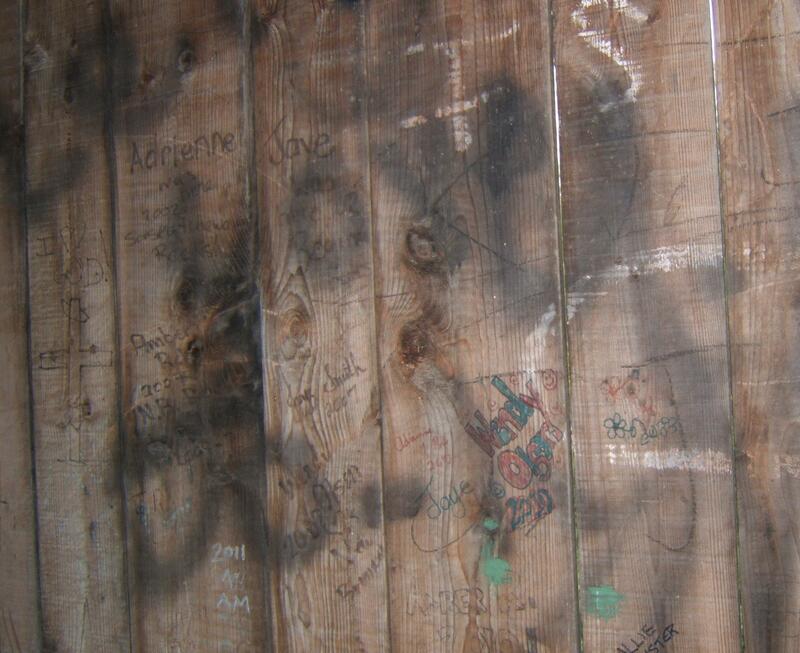 Have you ever left your initials or a message for others to find? As the weather gets more wintery, I adopt a strategy for getting through the next few months. The aim of the strategy is to keep warm! Put the kettle on and have a hot drink every morning. My hot drink of choice is tea with a little milk, but I also like hot chocolate and occasionally a cup of coffee. Make soup for supper. I love onions so every hot soup begins with these. Tonight we added Canadian bacon, a can of corn, a cut-up sweet potato and some spices. Knit. As I’ve said before, I can knit anything. I even knit a new top for my strawberry cookie jar! My usual knitting produces socks on four needles. 3. Make small lap quilts. I love to work with fabric. My method is to piece together bits and quilt as I go. Last spring, my aunt gave me lots of fabric to work with so I will not be short of patterns! I am not a very good quilter but the work keeps me warm as I sew and the result is a cozy lap quilt. 4. Walk outside every day, to acclimate myself to the colder weather. I have a great walking stick, wooden, hand-carved with an owl. What are your strategies for keeping warm in winter??? Although my blog has been a bit silent this fall, I have been working! 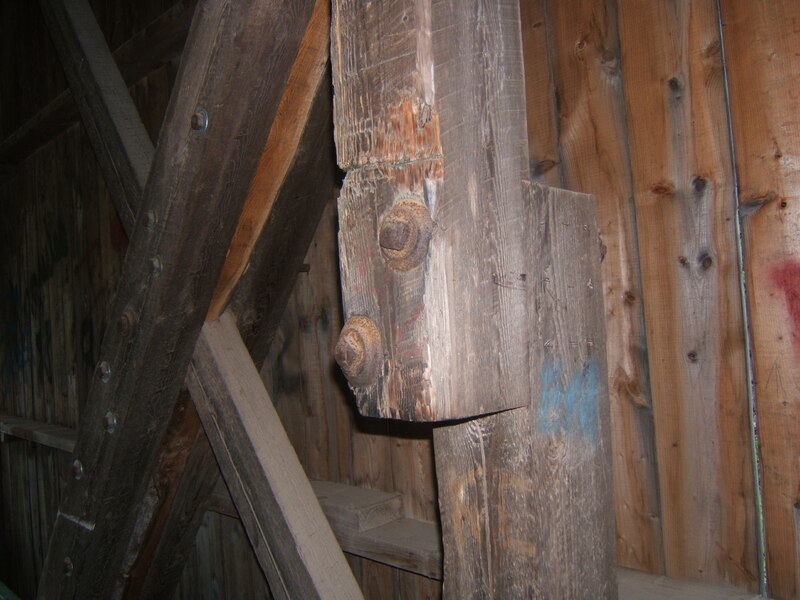 Among other projects, I am making great progress on my poetry manuscript ‘in the shelter of the covered bridge’. 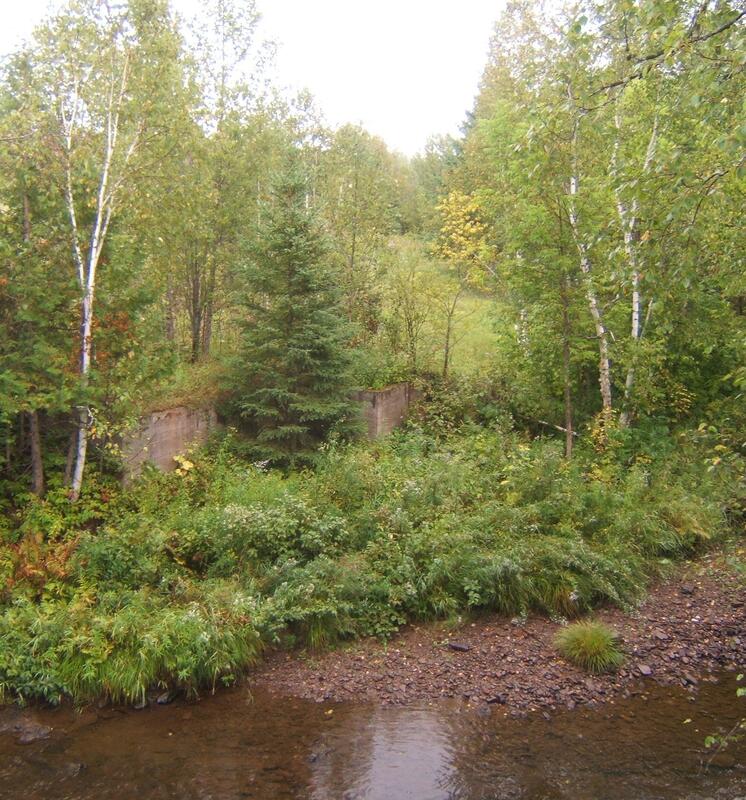 To provide experiences and inventory the plants and animals living in and around covered bridges in the province, my husband and I have visited 28 covered bridges in the drainage basin of the Saint John River and 5 covered bridges in Charlotte and Westmorland Counties. I have a few more bridges to visit, but to give a little seasonal diversity to my project, I’ll travel to these in early winter. As a result of these bridge visits, I’ve written 60 poems. I read five of these last weekend at two writers’ events: WordsFall (Writers’ Federation of New Brunswick http://wfnb.ca/ ) and Odd Sundays (a monthly Fredericton reading event). The poems include the results of my work on different poetic forms – in the manuscript I have examples of the sonnet, ghazal, haiku, tanka and villanelle. 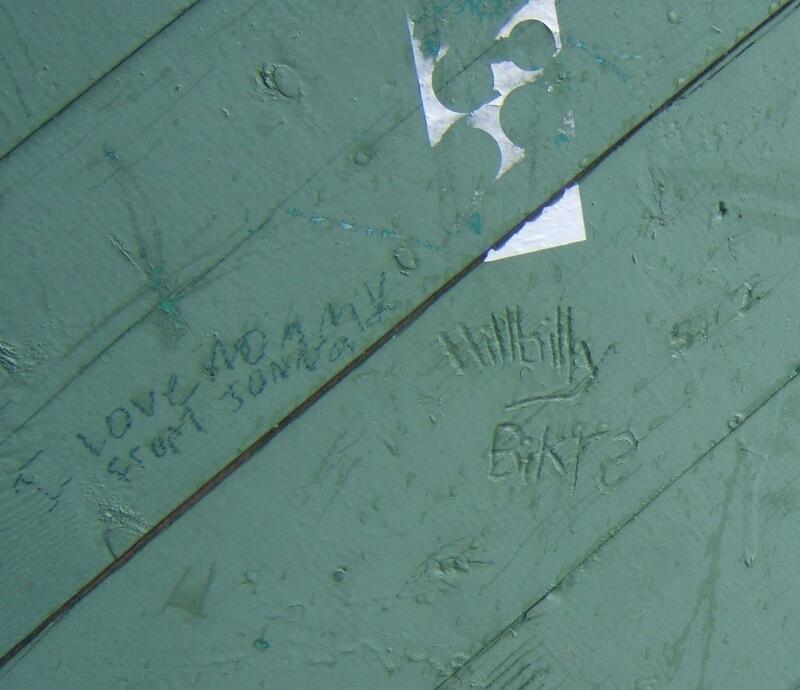 Writing these poems has given me a glimpse into the living world of the covered bridge. We may cross a bridge daily but it takes a little time to know a bridge and discover the life there. 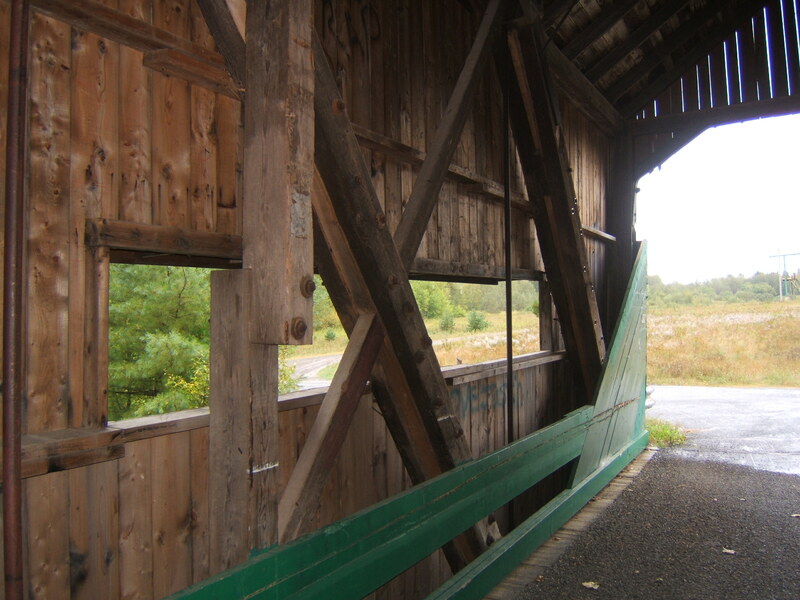 Most of the animals living in or around a covered bridge are timid or hidden, and avoid human contact. The plants provide the setting for the bridge but there is a pattern to the places they grow and some will only be seen if visitors to the bridge slow down. 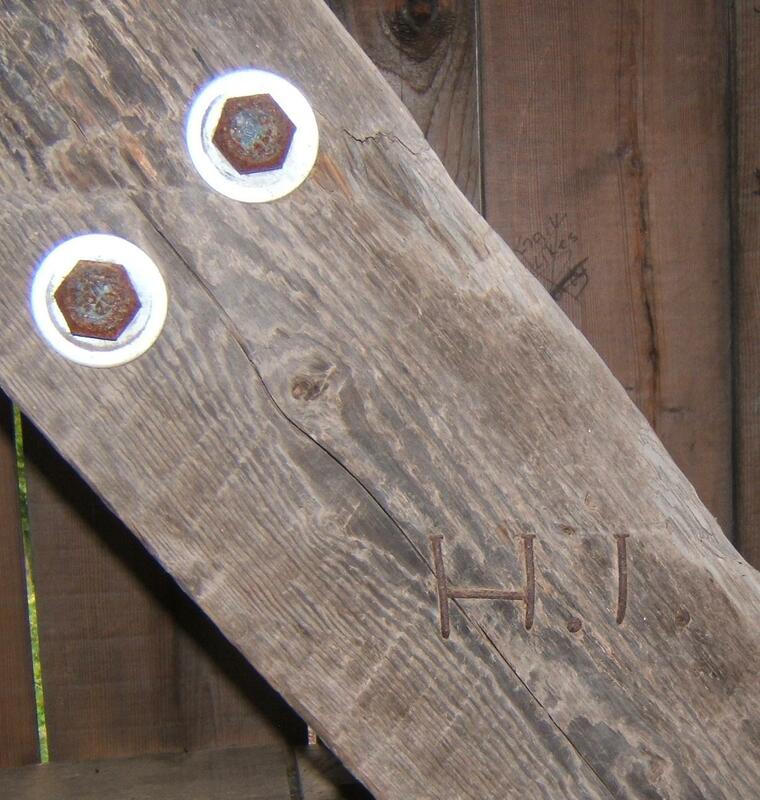 And carved in the beams are the stories of the humans who have been part of the history of the covered bridge. Today, we went for a walk along the trails at our camp. My favorite path runs along the boundary, next to our zig-zag cedar fence and among young white pine, grey birch, red maple and balsam fir. The weather has been very damp, so I expected to find fungi along the way. But I was surprised to see a beautiful patch of bright orange toadstools, each with a distinct orange-red center. They stood out among the red-brown leaves and green mosses. I am not good at the identification of fungi, but I think this is Caesar’s mushroom (Amanita caesarea). 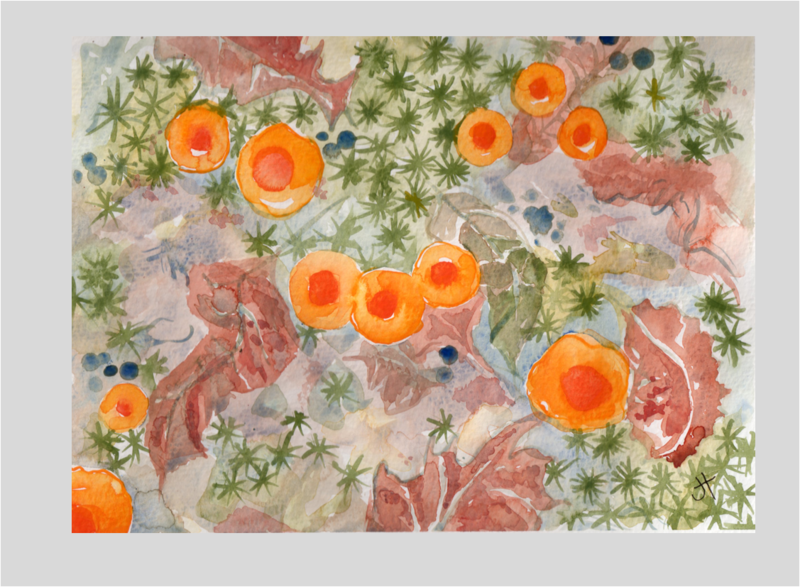 It is easily confused with the poisonous Amanita muscaria, so no one should use my painting as an identification guide. Just a celebration of orange and red on a fall day. Every morning, after waking, I spend a little time in my guest room. I get myself ready for the day – doing a few stretches, looking from the window, greeting Zoë (our cat), planning my day. Usually this happens just before sun-up and I am able to watch the sun rise behind the woods in our back yard. I am always amazed at the shift in the location of sun rise, season to season. These November days, it is to the south of where it rose in early summer. This morning the sunrise was brilliant, a fire of orange behind the trees. 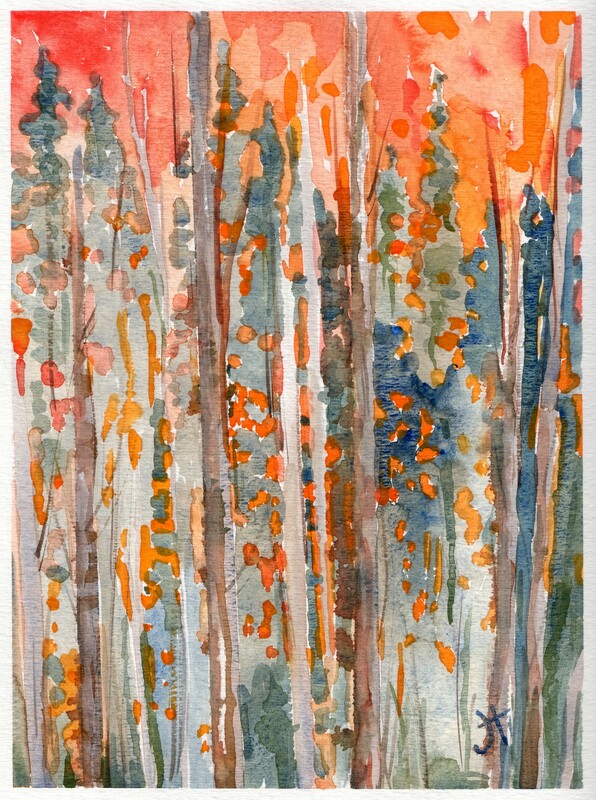 The flaming colours burst through small gaps in the darker trees – inspiration to get out my watercolours!